The Kells man, 43, closed with a 66 to come from six shots behind overnight leaders Horsey and Peter Whiteford to force a playoff on 13 under par at Tseleevo Golf and Polo Club near Moscow. Horsey had a share of the lead heading into the last day but a double bogey at the 12th and a bogey at the 14th looked to have put paid to his chances as McGrane moved ahead. Seeking just his second win since he claimed the Volvo China Open in 2008, McGrane looked odds on to claim the title when he rattled off seven birdies in 17 holes — including three in a row at the 15th, 16th and 17th — to head a struggling Horsey by three. But the Irish battler bogeyed the last for a 66 and Horsey chipped in for eagle at the 17th to draw level and then made a brilliant up and down on the 18th for a level par 72 that forced extra holes. A two-putt par in the play-off was enough to give Horsey his first win for three years as McGrane found greenside sand with his approach and couldn't get up and down. “I played lovely all week so I’m very pleased with my week," said McGrane, who earned €111,110 to move comfortably into the top 80 in the Race to Dubai. "I’m a little disappointed not to do better in the play-off there, but I’ve hit good shots all week and putted reasonably well. "All in all I’m very positive and it’s good for me mentally as well. I can push on for the rest of the season with my card secure. It was the second time in Horsey's career that he has been in a playoff and the second time he's come out in front after winning the 2011 Hassan 11 Trophy at Agadir, Morocco, in similar fashion. "It's a big relief to win and very much like my last win in Morocco when I also made a mess of a couple of holes on the back nine," said Horsey. "But standing on 17 I really didn't know where I was in the tournament so after hitting my ball through to the back of the green I realised I was three behind and needed to do something drastic and quite quickly. "So chipping-in for eagle was a great help and then thought I needed to make birdie at the last but not realising Damien had dropped one there at the last." Horsey led after the opening two rounds and went into the final round tied for the lead. "To win is very special as it's been a while since I won in Morocco, and also it's been bumpy road along the way since then," he said. Scotland's Scott Jamieson shot a 69 to finish third at 12-under 276 with Sam Hutsby (68) of England another shot back in fourth. Peter Whiteford (75) of Scotland rounded out the top five with a 278. Kevin Phelan (73) was 33rd on two under with Simon Thornton (74) tied 48th on two over. Damien McGrane is going through something of a nightmare as he battles to avoid Q-School and a third disqualification in the space of five months speaks volumes. 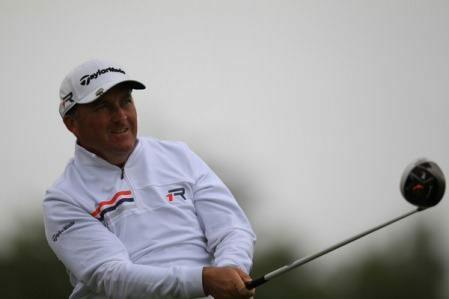 Damien McGrane got up and down for par six times out of six in round three at Kennemer. Picture: David Lloyd / www.golffile.ieKells grinder Damien McGrane has twice finished second since his maiden European Tour win in the Volvo China Open more than five years ago. 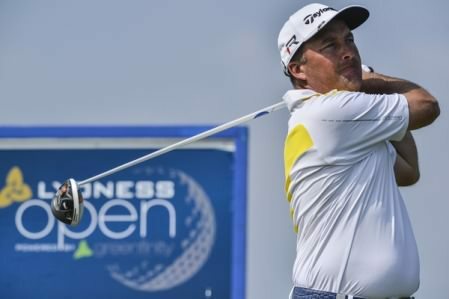 But after posting an immaculate, three 67 - the only bogey freee round of the day - to move into a share of third place at KLM Open at Zandvoort, the 42-year old would love to take advantage of a rich vein of form and experience that winning feeling again.